A mechanical planter that plants a single row of bulbs with each unit. The planters are available in multiple row configurations, 2 to 12 rows. They are hopper fed and allow for density adjustment. 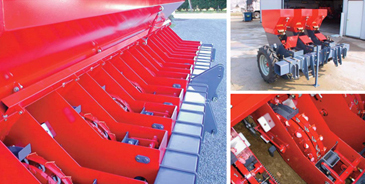 For details and specs, download the Planter Catalog to the right. A mechanical planter that plants a double row of bulbs with each unit. The planters are available in multiple row configurations, 2 to 10 rows. They are hopper fed and allow for density adjustment. 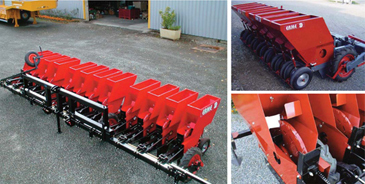 For details and specs, download the Planter Catalog to the right. 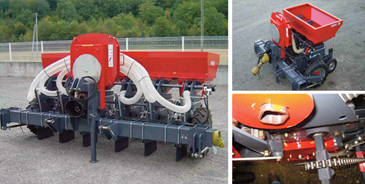 A pneumatic planter that plants a single row of bulbs. This type of planter is ideal for accurate spacing between the bulbs/cloves in the row. The planters are available in multiple row configurations, 2 to 6 rows. They are hopper fed and allow for density adjustment. 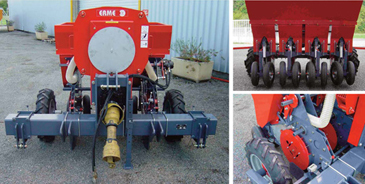 For details and specs, download the Planter Catalog to the right. 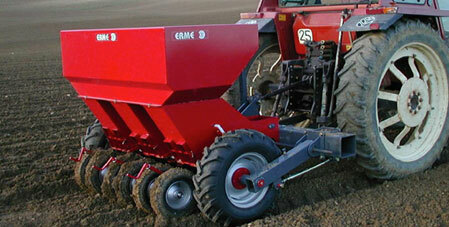 A pneumatic planter that plants a double row of bulbs with each unit. The planters are available in multiple row configurations 2 to 6 rows. They are hopper fed and allow for density adjustment. 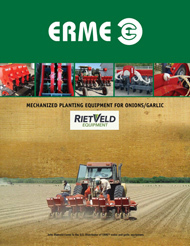 For details and specs, download the Planter Catalog to the right.